The roots of this band lie in the Oldham-based mid-sixties R&B groups, The Blues Keepers, and Heart and Soul and The Wickeds. These merged into a six-piece Blues Keepers which in 1966 became a four-piece. Then after John Crowther, a local businessman, became their manager they were installed in an 18th century farmhouse in Saddleworth Moor, adopting the new name of Barclay James Harvest. Their first single, Early Morning, was crisp, clear and harmonious. It got quite a lot of airplay from John Peel at the time but didn't sell in any quantities and is now quite hard to find. The follow-up, Brother Thrush, was similar but had a fuller sound and a wider appeal. However, in terms of sales, it fared no better than its predecessor. Shortly after its release they met Robert John Godfrey, who helped them assemble The Barclay James Harvest Orchestra. This basically consisted of a loose knit group of classical music students who accompanied the band at live concerts and on recordings. Now signed to EMI's new progressive Harvest label the band recorded its first album at the famous Abbey Road Studios. Their earlier simple harmonies were now augmented by complex orchestral arrangements and rock which had more cutting edge. The result was a fine album whose highlights included the finale, Dark Now My Sky, Taking Some Time On and Mother Dear, which was more in the style of their first two 45s. Their follow-up album, Once Again, made more impact and included the classic Mocking Bird. This was another exquisitely beautiful song and was their best known recording from their early years. Harvest later released a quadrophonic version of this album, which first time around had bolstered their cult following. Unfortunately their next effort, Barclay James Harvest And Other Short Stories, did not continue this progression. Indeed the band let it be known that they were not happy with the final product. Nonetheless it still had some fine tracks, particularly Medicine Man, Song With No Meaning and After The Day. By now though, the band were beginning to get into financial difficulties as a result of their lack of commercial success, the high cost of keeping an orchestra on the road and mismanagement. They even returned from an European tour with their equipment impounded as a result of a border dispute and unpaid by one of their concert promoters. 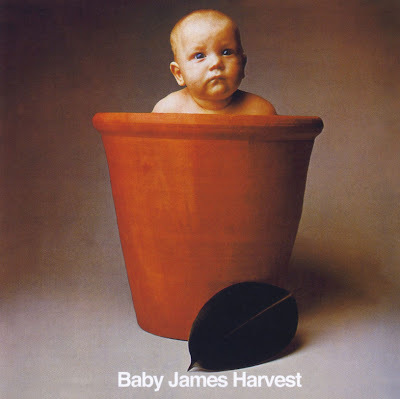 The Baby James Harvest album, which had been hastily recorded with no producer, was a real low point in their career. It met with poor reviews and sales and led to them being dropped by EMI, who a few weeks before its release had released a budget-priced compilation, Early Morning Onwards, which is a very good introduction to their earlier recordings. They were also involved in a bitter split with their management. Eventually they secured new management, got a recording contract with Polydor and unable to afford the cost of a touring orchestra reproduced the orchestral arrangements on their own instruments, giving them a unique sound even in the progressive era when many bands had a strong classical influence on their music. Their first album for Polydor, Everyone Is Everybody Else, was greeted to critical acclaim. Indeed they built up a strong live following and capitalised on this with the issue of a double live album in 1974. This effectively marked the end of their orchestral period. Their next album, Time Honored Ghosts, recorded in San Francisco, with producer Elliott Maze, marked the start of a period of steady growth in their popularity which continued well beyond the time frame of this book. They never realised their full commercial potential in Britain but went on to become enormously popular in Europe. Robert John Godfrey issued a solo album in 1974 on the Charisma label (CAS 1084) entitled Fall Of Hyperion which is becoming hard to find. Recently there has been a falling out between Godfrey and the band culminating in a court case from which neither side emerged victorious. Harvest's 1970 Picnic compilation included Mother Dear and you'll also find After The Day on the Harvest Bag compilation. John Lees went on to record a solo album and a couple of 45s in the mid-seventies. 'Wooly' Wolstenholme cut a solo album, Maestoso, for Polydor in 1980.